Happy Friday! As you know, every Friday an advocate for children's books and reading visits Watch. Connect. Read. to finish my sentences. 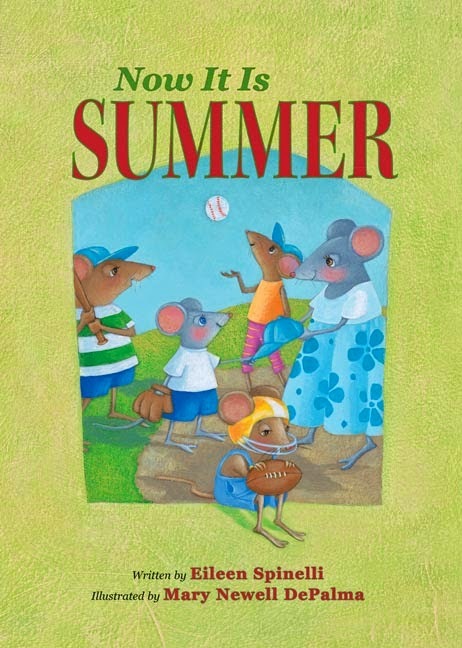 This week's special guest is author-illustrator Mary Newell DePalma. We chatted about her new picture book, book trailers, school libraries, and reading. I wrote the words in red, and she wrote the words in black. Thank you, Mary! My new picture book, Two Little Birds, is about the extraordinary lives of migrating songbirds. These tiny creatures are part of a living breathing ecological web that we don’t yet fully understand. The text is really, really simple. It implies more than it says, and that is the fun part of writing picture books. How else would you condense neotropical songbird migration into 217 words? My text is sparse, but it is worth pondering. 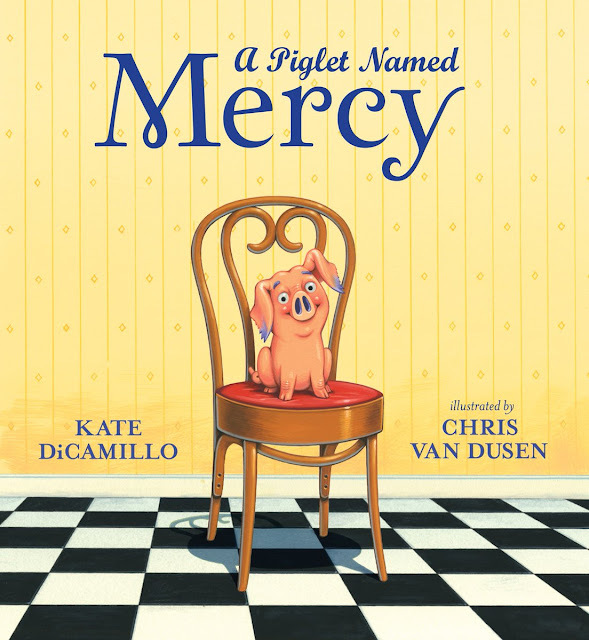 Picture book text should function as a prompt for the reader’s imagination. 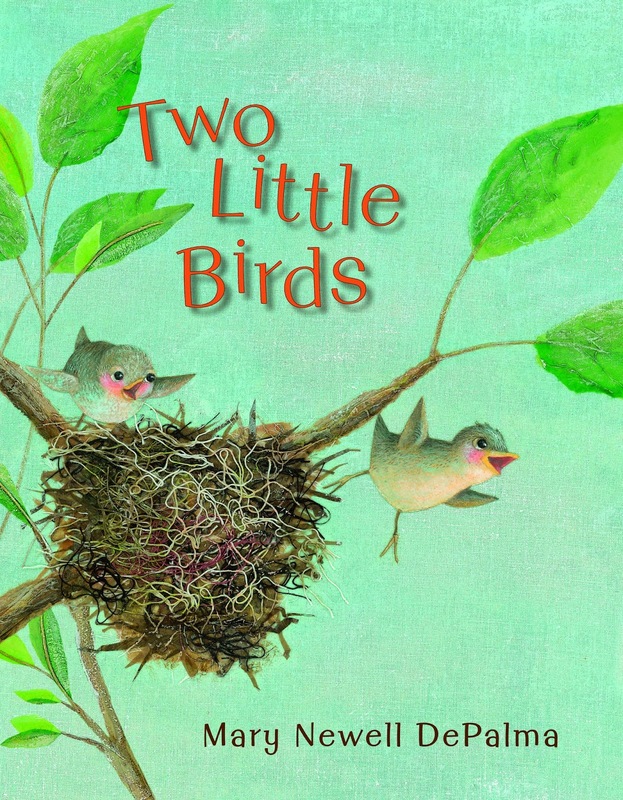 One of my very favorite lines is right at the beginning: “After much effort...two little birds emerged from their eggs.” I’ve had some fun with young school groups imagining that! The illustrations detail the birds’ journey from the dark, close, inside of an egg to the freedom of an ocean of sky. The visual language is an integral part of the narrative. I’ve used visual elements such as pictorial composition and texture to communicate information that is not in the text. When I finished writing the book, I realized that it is more than a chronicle of bird migration; it is also an allegory of growth, competence, and achievement. I hope Two LIttle Birds raises awareness of our natural world and gives us courage for our own journeys. The migration of Orchard Orioles is EPIC! It would be unbelievable if it weren’t true. On their first migration, everything is new; they don’t know where they are going or what to expect when they arrive. I wrote: “They flew and flew and flew. They flew beyond all they knew.” How brave is that?! First they fly great distances across the North American continent, then up to 18 hours straight over the Gulf of Mexico. That’s quite the demonstration of stamina and strength from a bird weighing about one ounce! Along the way, they control insects and pollinate plants. Amazing! The book trailer for Uh-Oh! is a hilarious slapstick comedy about an endearing, hapless young dinosaur’s disastrous day and his earnest efforts to make things right--just like the book. BUT the trailer has the super fun addition of the incredible voice talent of William Dufris, (best known to young readers as the original voice of Bob the Builder in the cartoon of the same name), making sound effects to narrate the adventure. We hope this gives young readers lots of ideas! Visual Thinking Strategies (VTS) is a technique I use at the beginning of my classroom visits to jumpstart observation and discussion. Students often arrive with a receptive attitude--expecting to be told something. I use VTS to open them up, get them working and thinking along with me. Simply put, I show them an illustration and ask ‘what is happening in this picture?’ They articulate what they see. I follow up with ‘what did you see that made you say that?’ and the students support their assertions with evidence. I extend the conversation by asking ‘what more can we find?’ During this process they become aware of the elements of visual language, and we share a fun and civilized discussion in which their observations are heard and valued. My goal is for students to use some aspect of what they discover about visual communication in their own work. School Libraries are Heaven on Earth. Aladdin’s cave. Knowledge Portal. Empowerment central. Picture Books are wonderful! First of all, they are stories with pictures, and on top of that, you get to snuggle up with your favorite little ones and explore them together. Reading is magic. knowledge. power. But reading is not enough, we also need to learn the language of pictures. Mr. Schu, you should have asked me why a grownup like myself spends her time making picture books! I find that it is a great challenge and puzzle to combine words and pictures to make stories. I create little my own little worlds; it is fun to be in charge of the scenery, props, location, costumes, characters, action, lighting, and weather! I especially enjoy tinkering with the ratio of pictures to words in picture books. For example, pictures can tell the whole story, as in wordless books like my Uh-Oh! ; they can add a story to a nonsense rhyme as in Bow-Wow Wiggle-Waggle; they might tell a different story than the words, as in My Chair; or combine with words to tell the whole tale, as in The Perfect Gift. The possibilities are endless! 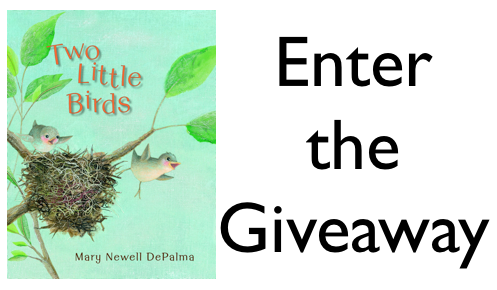 I am giving away a copy of Two Little Birds. 1. It will run from 5/23 to 11:59 p.m. CDT on 5/25.